Captain Granger hired on with Delta 01-03-1946 and retired as a Flight Simulator Instructor based ATL with 37 years of service. CARES AND CONCERNSThank you to NW Captain Steve Seaman, son of the late retired DL Captain Art Seaman who passed away in 1989, for sending the sad news of the death of retired DL Captain Robert L. 'Bob' Granger, 95. 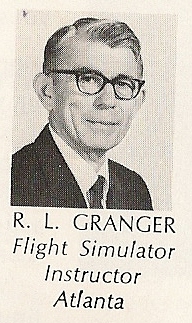 Hired by Delta January 3, 1946, he was one of our oldest captains. You may read his obituary, sign the online guest book and see directions for the services in Fayetteville, Georgia at http://www.mowellfuneralhome.com/sitemaker/sites/Mowell1/obit.cgi?user=905502Granger .. Expressions of condolence may be sent to Mrs. Granger and family at 150 Woodgate Dr, Fayetteville, GA 30214, phone 770-460-9436, email <bobgranger1917@yahoo.com>. 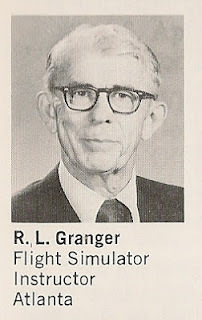 Mr. Robert Lester Granger of Fayetteville, GA passed away February 16, 2013 at the age of 95. Mr. Granger was born in Smithfield, PA to Ernest Granger & Nellie Britt Granger. He served in the U.S. Navy. He then became a Delta Air Lines pilot & retired after 37 years of service. 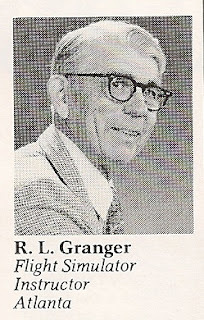 Mr. Granger was a member of Fayette Presbyterian Church in Fayetteville, GA. He was a loving & loyal husband, father, step-grandfather, brother, uncle & friend. He was preceded in death by his parents & three sisters. Survivors include his wife Lois G. Granger of Fayetteville; daughter Marian Speight (Amos) of Fayetteville; four step-grandchildren; three step-great-grandchildren; two step-great-great grandchildren; brother Retired Brigadier General James I. Granger (Carolyn) of Alexandria, VA along with numerous nieces & nephews. 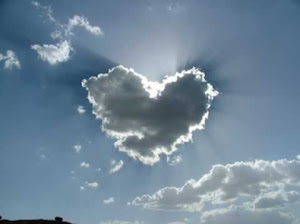 A funeral service will be held February 18, 2013 at 2:00 PM at Carl J. Mowell & Son, Fayetteville with Rev. Dr. Alex Moses officiating. Burial will immediately follow at Westminster Memorial Gardens, Peachtree City, GA. The family will greet friends from 1:00 to 2:00 prior to the service. In lieu of flowers, the family requests memorial donations to Fayette Presbyterian Church. Thanks in advance for putting out to the appropriate networks the sad news of the passing of Bob Granger, a fellow WWII naval aviator of my father's, and one of Delta's oldest pilots. Hope you are doing well, and enjoying your well earned leisure time.